USS Saugus (LSV-4) at Tampa from the starboard on March 5, 1945 wearing camouflage 31/15L. The vertical colors are black, navy green and ocean green. Photo source: NARA BS 81091. USS Saugus (LSV-4) again at Tampa from the port on March 5, 1945 wearing camouflage 31/15L. Photo source: NARA BS 81092. 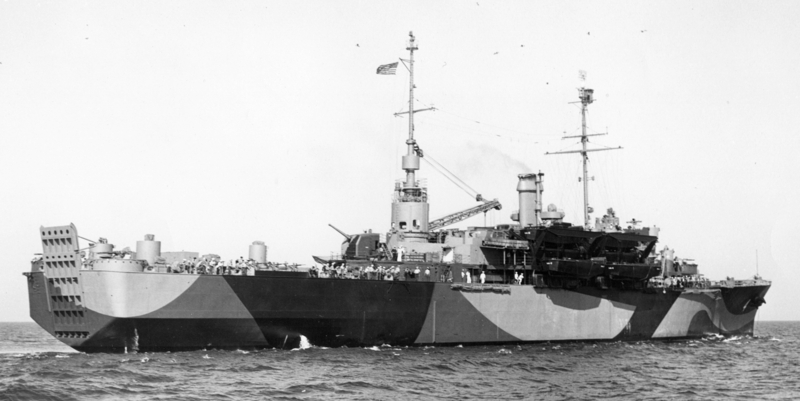 Saugus this time from the starboard stern at Tampa again on March 5, 1945 wearing camouflage 31/15L. This photo shows the stern ramp. Photo source: NARA BS 81095. 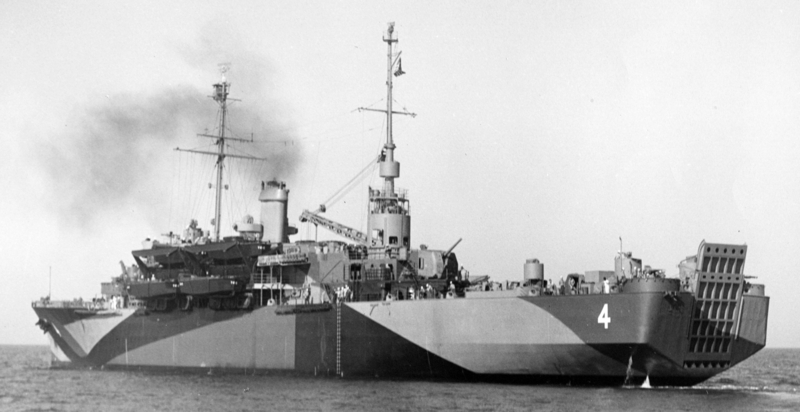 USS Saugus (LSV-4)one more time at Tampa on March 5, 1945 wearing camouflage 31/15L. Photo source: NARA BS 81096.